Pilgrim Academy performance of Pinocchio. (Back row) pupils Alfie Blaney-Cook, Jasmine Ridge, Ruby Simpson, Summer-Mai Parker, Riley Towle and Alfie-Lee Edwards. Front row: Matthew Bullimore, Rosie-Su Blaney-Cook and Maya Khan with Pinocchio (played by Jenny Watson) and Image Musical Theatre actors, Jordan Howlett and Kerry Hughes (back row). 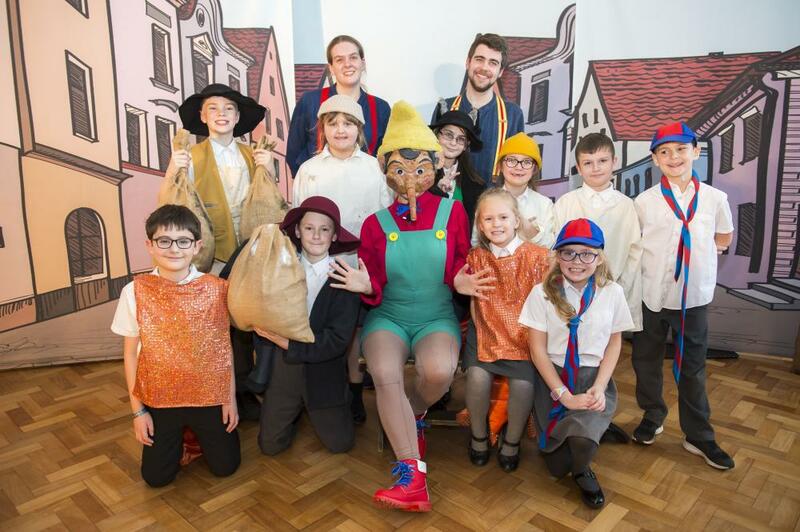 Pupils at Tollbar Multi Academy Trust Primary Schools were taken into a magical world when Image Musical Theatre brought their production of Pinocchio into the Academies. 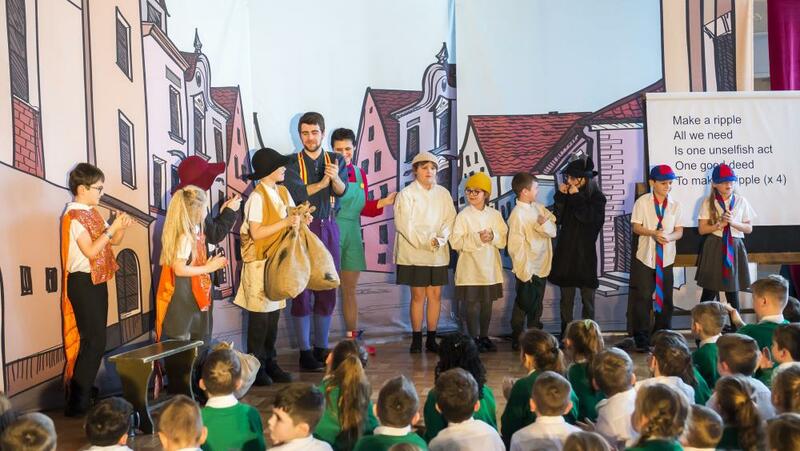 Pupils at Pilgrim Academy in Immingham and Reynolds Academy in Cleethorpes also had the opportunity to take part in the production, with the theatre company travelling to both schools to perform its original version of the fairytale. Kayleigh Plumtree, English Co-ordinator at Reynolds Academy, said: "This was a wonderful performance of Pinocchio by Image Musical Theatre for pupils in Years 3-6. The children are studying Pinocchio in English so they really enjoyed the performance. They did a workshop involving singing and acting, which is good for their confidence." Alison Stephenson, Pilgrim Academy Assistant Principal, said: "This is a good way for the children to experience a story being performed. It brings the book to life." Image Musical Theatre actress Kerry Hughes said: "We perform the original version, not the Disney version of Pinocchio, and it goes down really well. There are lots of elements to it and lots of costume changes. We also spend time with the children doing workshops and rehearsals. There is also a good moral behind the story for the children." 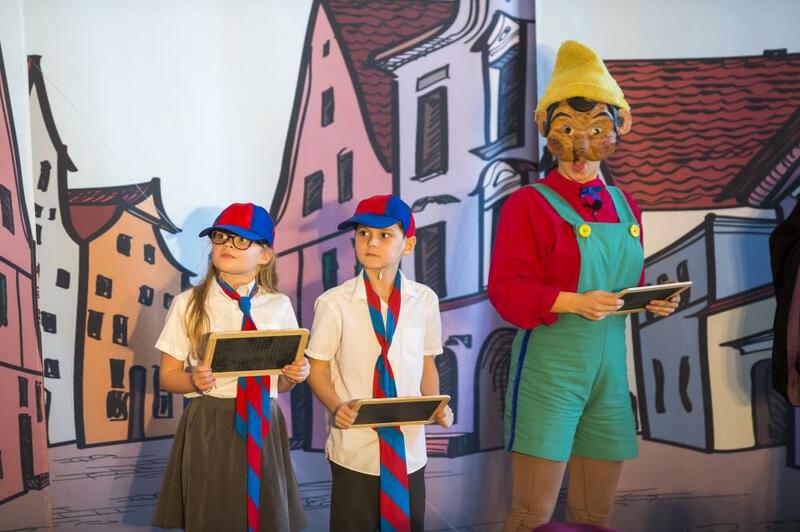 Pilgrim Academy pupils Maya Khan and Alfie-Lee Edwards on stage at the Pilgrim Academy performance in Immingham with Pinocchio (played by actress Jenny Watson). Pilgrim Academy pupils take part in Image Musical Theatre's production of Pinocchio at the Immingham Academy.